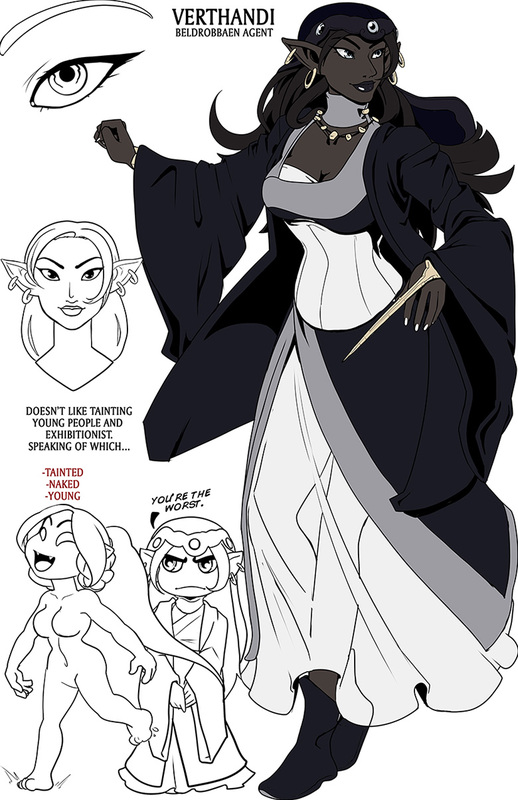 forums.drowtales.com • View topic - Ch44 Verthandi and Illhardro cameos. 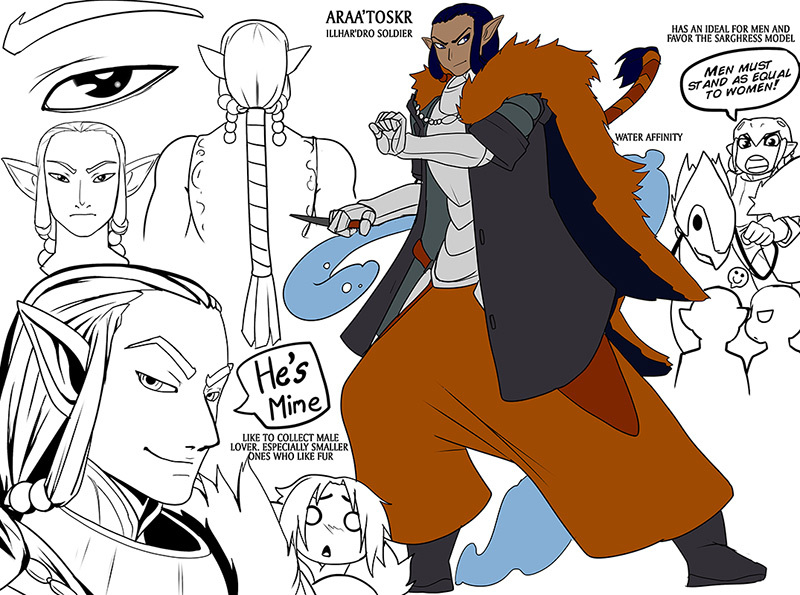 Board index ‹ Drowtales world ‹ Questions and World Setting ‹ Wiki Submissions and Updates ‹ Ch44 Verthandi and Illhardro cameos. Ch44 Verthandi and Illhardro cameos. Hmm, the stuff I did for Ys and the end of chapter 44 isn't up yet. It's usually up by now. Personality: She also doesn't like tainted people, or young people, or exhibitionists. At Felde, Verthandi reported to Snadya'rune on the task she was given before discussing her clan's future in Snadya'rune's vision. When visitors arrived, Snadya'rune invited Verthandi to stay for the gathering to which Verthandi agreed. During the conference, after Ran’diirk’s failed attempt to kill Snad, she shows surprise at the summons everywhere. She was later present during Snad’s speech where she tries to assure Snadya’rune the Belds are ready to fold which Snad states she believes. When Shodun gave the command, she kneeled. | trivia = His blades are tipped with poison. He wears a blue cloak over his white robes. His white hair has a blue streak. Cy’ril also likes giving unwanted health advice. He delivers a gift to Ilivafay from Snadya’rune, which turns out to be a flower. During Snad’s speech, Cy’ril shows of a vial of poison as Snad explains how she plans to use the poison. "''My mistress has a gift for you.''" Giving Ilvafay a flower. 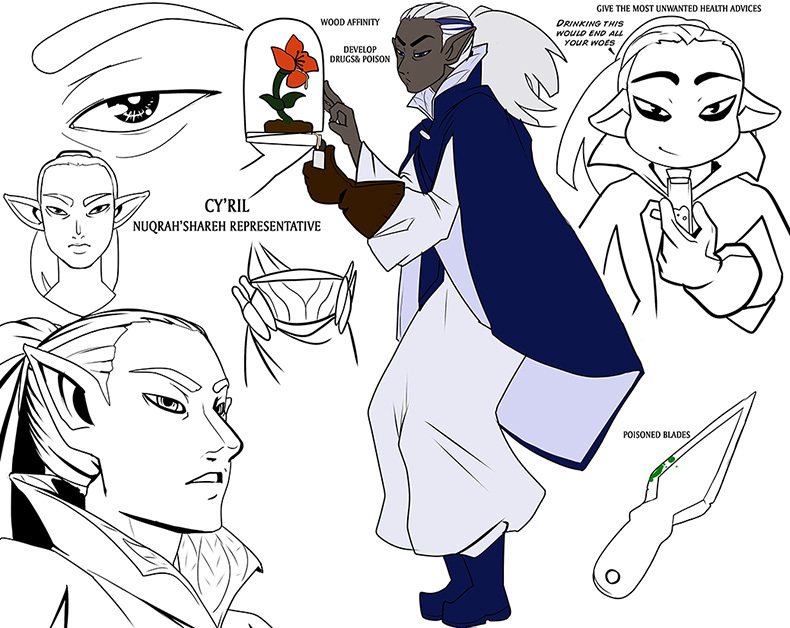 He is a Dark Elf whose blue hair is tied in a ponytail. He wears large orange pants and an orange fur coat in addition to his chestplate. He has an ideal that men and women must be equal. Araa’toskr also likes male lovers, especially where they are small and likes fur. He and Dycle were witnessed by Ash’mita and Aba’della discussing something before being interrupted by Kiel. Araa’toskr offers to get rid of Kiel but Snad declined the offer, stating she amuses her. Soon later, he witnesses Ran’diirk make an attempt on Snad where he noted that he liked Ran’diirk’s appearance after he killed himself. After the airship arrived, Araa’toskr was not amused to see the ship. When Shodun gave the command, he kneeled. "''It’s a shame he had to go and kill himself. I rather like his looks.''" Referring to Ran’riirk’s suicide bombing. | trivia = Collects souvenirs from dead enemies. She wears blue pants and a blue fur coat. She has purple streaks on her mostly white hair. 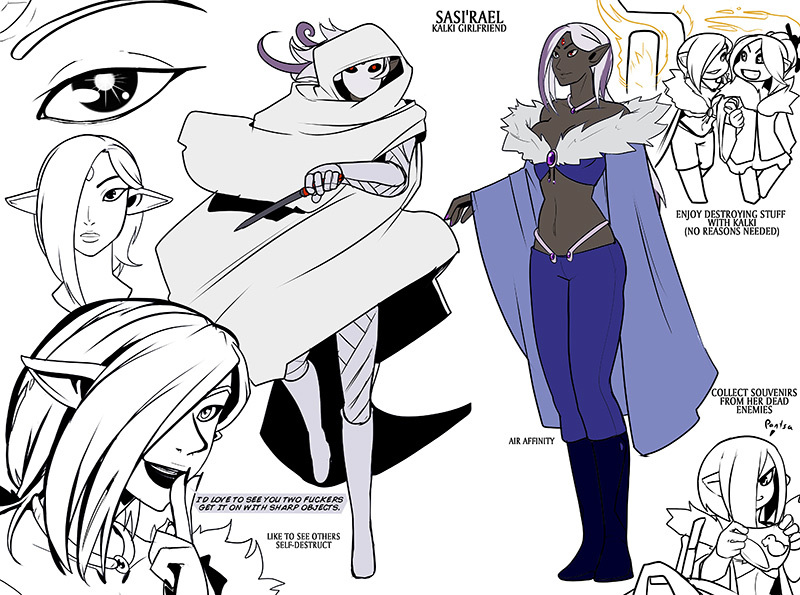 Sasi’rael also has an alternate outfit consisting entirely of white garments, a white cloak and a white mask. After arriving in Felde on the airship, she carries Jiann down. Sasi’rael then passes a knife to Jiann after Snad decides to pit him against Dycle. "''Aww, did you bust your kneecaps? That’s going to be hilarious, watching a Sharen-fucker like you trying to crawl.''" Demeaning Jiann. Re: Ch44 Verthandi and Illhardro cameos.